Taimur Ali Khan needs no introduction for the people in Mumbai film circles. He is also a popular name for the media. The photographers go crazy whenever they spot Taimur Ali Khan in the public. Taimur, the son of hot couple Saif Ali Khan and Kareena Kapoor is the child celebrity in Bollywood who enjoys a craze that no one does. Sometime back in Kerala, Taimur’s idols were made and sold and it reveals the craze that he enjoys. The buzz is that the two year old Taimur is all ready for his silver screen debut. 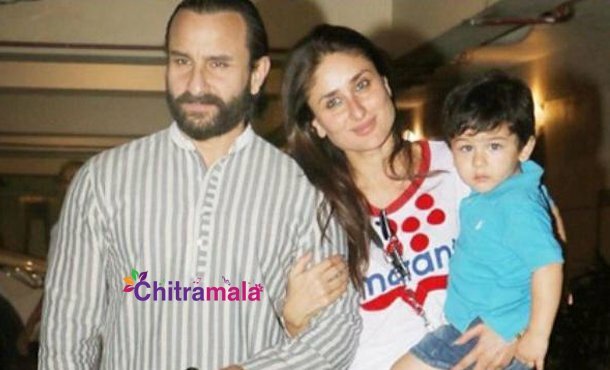 If the reports are believed to be true, Taimur will be seen in the upcoming Bollywood film Good News starring Akshay Kumar and Kareena Kapoor. Taimur is said to be playing a small role that will have a ten minutes duration in the film. The reports from Bombay filmnagar reveals that the shoot was wrapped up already. Sara Ali Khan is dating her first co-star?